The 2016 special legislative session that began Aug. 15 and ended Sept. 7 saw the introduction of 59 bills in the House and 39 in the Senate. 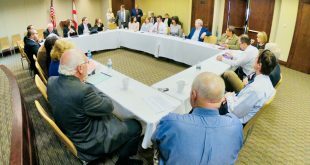 Two were the focus of the session called by Governor Bentley to address Medicaid funding and to consider a bond issue backed by Alabama’s settlement from the 2010 BP Deepwater Horizon oil spill. The governor sought a lottery constitutional amendment that would have required voter approval to produce money for the financially beleaguered state Medicaid program that the agency said needed an additional $85 million beginning Oct. 1 just to maintain the current level of service. The lottery bill – SB 3 – failed and the House and Senate adjourned prior to the Labor Day weekend, returning Sept. 6 for consideration of the reserve Medicaid relief bill, HB 36 sponsored by Rep. Steve Clouse, R-Ozark. A compromise HB 36 was worked out between House and Senate conference committee members and approved on the final day of the session. It authorizes a bond issue backed oil spill money due to Alabama over the next decade and a half. “I think it’s a good compromise,” said Clouse, the House Ways and Means General Fund Committee chairman. The House approved the conference report 87-9, sending it to the Senate. “Let’s give this the best shot we got,” Senate President Pro Tem Del Marsh, R-Anniston, said in urging the Senate to approve the conference report, which it did 22-8 after a lengthy debate. The governor signed the bill on Sept. 8. A bond issue of about $640 million will include an additional $15 million for Medicaid in fiscal 2016-17 to add to the $70 million Medicaid appropriation from the General Fund budget passed earlier this year. That would increase next fiscal year’s Medicaid appropriation to the $85 million amount the agency said it needs to avoid cuts. Medicaid will get an additional $105 million in FY 2017-18 and the agency must use additional funds to restore physician reimbursements that were reduced on Aug. 1. A total of $4 million is allocated to federal matching funds to provide outpatient dialysis care. 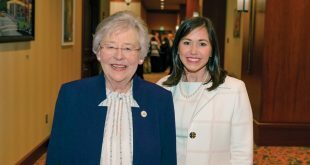 The bond issue also will include $238 million to repay the Alabama Trust Fund for amounts borrowed to support the budget and $162 million to repay the General Fund Rainy Day Account in the Alabama Trust Fund for money transferred to the budget seven years ago. Finally, up to $120 million from the bond issue will go to Mobile and Baldwin counties for road projects: $65 million for U.S. 98-Alabama 158 from Mississippi to Interstate 65 in Mobile County, and $55 million for Baldwin County. SB 3, the lottery bill sponsored by Sen. Jim McClendon, R-Springville, was a constitutional amendment that passed the House with one vote more than the necessary 63 needed to pass a constitutional amendment. This was after the initial vote on the lottery in the House failed with only 61 votes. Maneuvering and the invoking of a usually pro forma House rule stalled SB 3 beyond the Aug. 24 deadline that Secretary of State John Merrill declared was the last possible date a constitutional amendment could pass and be listed on Nov. 8 general election ballots. Sen. McClendon disagreed and said Aug. 26 was the drop-dead date for final passage and inclusion on the ballot. 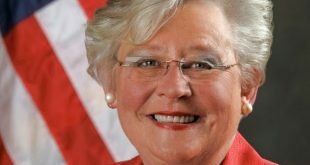 In a response to Merrill’s request for clarification, Attorney General Luther Strange said Merrill had the discretion to waive the Aug. 24 deadline to get the constitutional amendment on ballots if lawmakers had approved SB 3 by that date. The House voted 64-35 to pass a substitute to SB 3 and return it to the Senate with several substantive amendments. The lottery, had it been approved, would have earmarked money for education, Medicaid, and rural volunteer fire departments. The Senate moved to concur with the House version of the lottery but the vote failed by a large margin of 7-23. HB 36 as introduced by Rep. Clouse would have authorized a bond issue backed by $850 million from the BP Deepwater Horizon oil spill due the state. The original bond issue would have repaid a debt owed the Alabama Trust Fund and allocated about $191 million to Baldwin and Mobile counties. The House approved the bill 91-10 on Aug. 17 and sent it to the Senate the next day where it was carried over three times as senators waited on the outcome of the lottery bill. Sen. Bill Hightower, R-Mobile, handled HB 36. After the lottery bill failed, the Senate and House recessed until Sept. 6 to consider an amended and substituted HB 36. The compromise was reached Sept. 7. After protracted debate over lessening the debt repayment and putting more into Medicaid, the Senate voted on a sine die motion, which failed 2-26. The Senate then concurred with the conference committee report by a vote of 22-8. Senate Resolution 20 by Sen. Marsh creates the Interim Senate Tax Relief Committee to study the effects of thousands of burdensome regulations imposed by the federal government in the last seven years. Sen. Marsh said he feels too much of the state’s tax structure was created with the influence of lobbyists. He said he would like to take lobbyists out of the process. Sen. Marsh will choose seven senators to serve on the committee that is scheduled to begin meeting this month. Findings are to be reported no later than the fifth day of the 2017 regular legislative session. HJR 62 by Speaker McCutcheon creates the Joint Legislative Task Force on Budget Reform to examine the structure and design of the state budgeting process and make recommendations for long-term budget and tax system reforms, including a biennial budgeting cycle for both budgets. The committee, consisting of seven House and seven Senate members, will first meet no later than Sept. 30 and report no later than the fifth legislative day of the 2017 legislative session. Identifying areas to provide tax relief to Alabama families without significantly affecting state budgets. The eight Democratic senators voted against the measure, which passed 19-11. It had already passed the House. HB 23 by Rep. Ken Johnson, R-Moulton, extends the moratorium on requiring owners or operators of LNG-fueled vehicles to pay motor fuel excise taxes or to obtain a decal by May 2017, at which time LNG fuel will be taxed as gasoline or diesel fuel in gallon-equivalent quantities unless the Legislature develops a more comprehensive approach. HB 23 went to the governor. HB 27 by Rep. Elaine Beech, D-Chatom, repeals a supplemental prescription drug tax of 15 cents levied in 2015 and authorizes a monthly tax credit beginning Oct. 1 to providers that paid the tax up to 100 percent of their tax remittance. It went to the governor. HB 39 by Rep. Connie Rowe, R-Jasper, reached the House floor but was indefinitely postponed. The bill as written would have addressed the issue of Medicaid fraud by creating substantial new civil penalties and new civil cause of action with financial rewards and workplace protections for “whistleblower” employees. The bill was supported by the Attorney General’s Office. Business Council of Alabama President and CEO William J. Canary congratulated Rep. Mac McCutcheon after his Aug. 15 selection as Speaker of the Alabama House of Representatives. 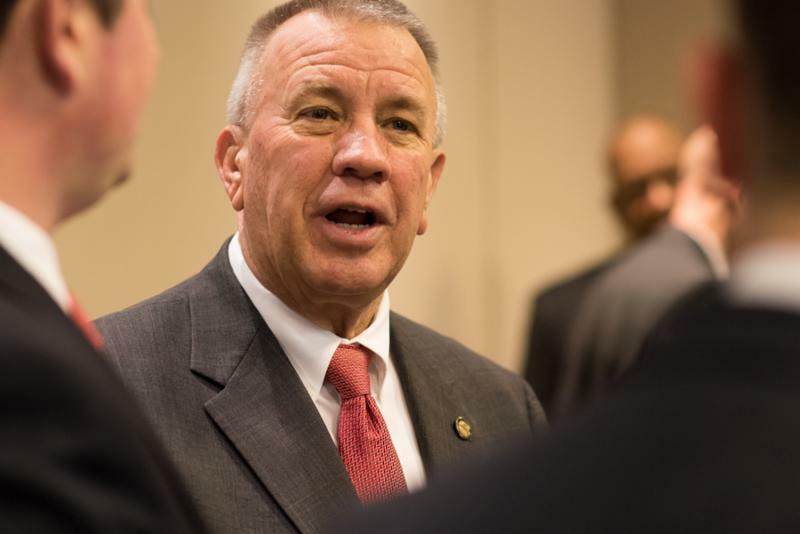 House members selected Rep. McCutcheon, R-Monrovia, as the first order of business when the 2016 special legislative session began. McCutcheon had been chairman of the agenda-session Rules Committee. Speaker McCutcheon was the Republican caucus’ nominee. The retired Huntsville crime investigator was first elected to the House in 2006. “I will work every day, every hour, every minute and every second to be the people’s speaker,” he said.